Myrtle Beach offers a fun-filled coastal destination for families and friends. You’ll find attractions like waterparks and amusement rides, plus all the shoreline you need for a relaxing day with the sand and surf. Plus, nearby golf courses and shopping areas offer options the whole family will enjoy. That's not all there are tons of affordable ways to enjoy this vacation town. Check out the best Free Things To Do below, along with suggestions for Cheap Eats and Annual Festivals. There’s no better way to enjoy Myrtle Beach than by lounging, playing, swimming and fishing along more than 60 miles of Atlantic coastline. These South Carolina beaches are the reason so many love to vacation at Myrtle Beach. Ranked in the top three boardwalks in the U.S., Myrtle Beach Boardwalk & Promenade is definitely worth a visit. The boardwalk stretches 1.2 miles along the beach, making it a perfect place for shopping, dining and events. This is also where you’ll find the famous Myrtle Beach SkyWheel. Animal-lovers and kids alike will love visiting this wildlife facility, which offers close encounters with tigers! You’ll find free admission at the Myrtle Beach Art Museum, which houses masterpieces by famous painters, photographers, sculptors and more visual artists. Travel to nearby Murrells Inlet to enjoy live music and walks along the water. 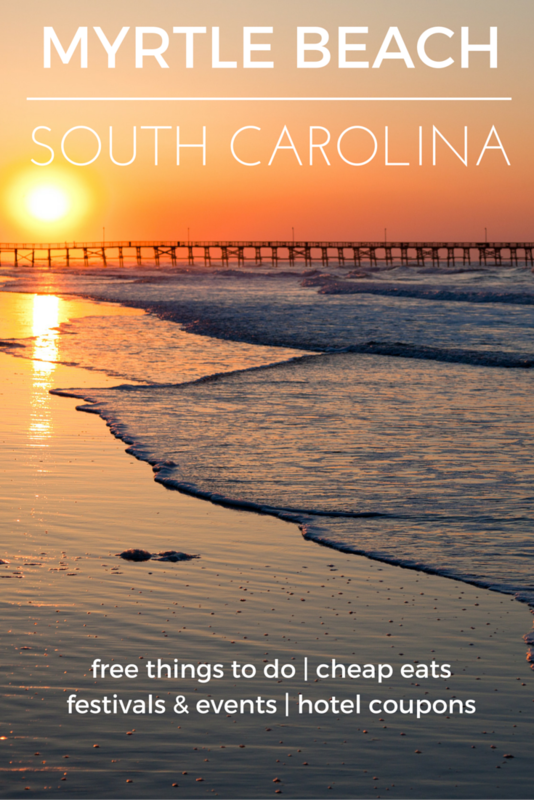 This quaint town is also a great place to taste some of the freshest seafood in the Low Country. Visit the South Carolina Hall of Fame in the Myrtle Beach Convention Center to browse exhibits about notable figures who made South Carolina their home. From politicians to artists, this group of impressive SC citizens is worth a visit.